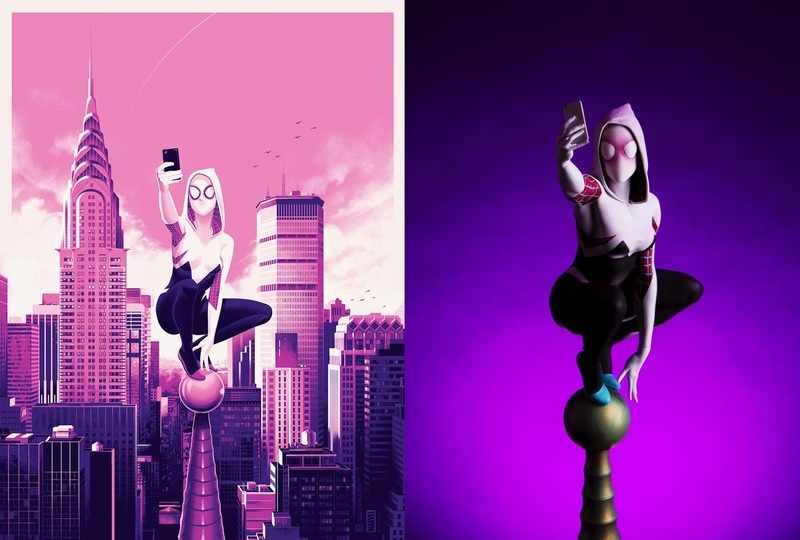 Today, Mondo celebrates one of Marvel’s most popular new heroes, Spider-Gwen, with two awesome releases! 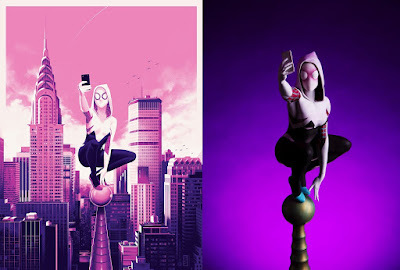 Alongside a fun new Spider-Gwen poster by Rosemary Valero-O'Connell (seen here) comes this fantastic Spider-Gwen statue based on Phantom City Creative gorgeous previously released art print. This polystone statue shows Spider-Gwen (aka Spider-Woman, aka Gwen Stacy) either spending a quiet moment perched atop a high-rise building, taking a selfie after a day of being a hero OR slinging a web to swing into action. It's your choice, as she comes with interchangeable web-shooting and selfie hands! The Blot loves how Mondo was able to bring to life the playful colors and movement seen on Phantom City Creative’s original screen print into a killer 3D statue. 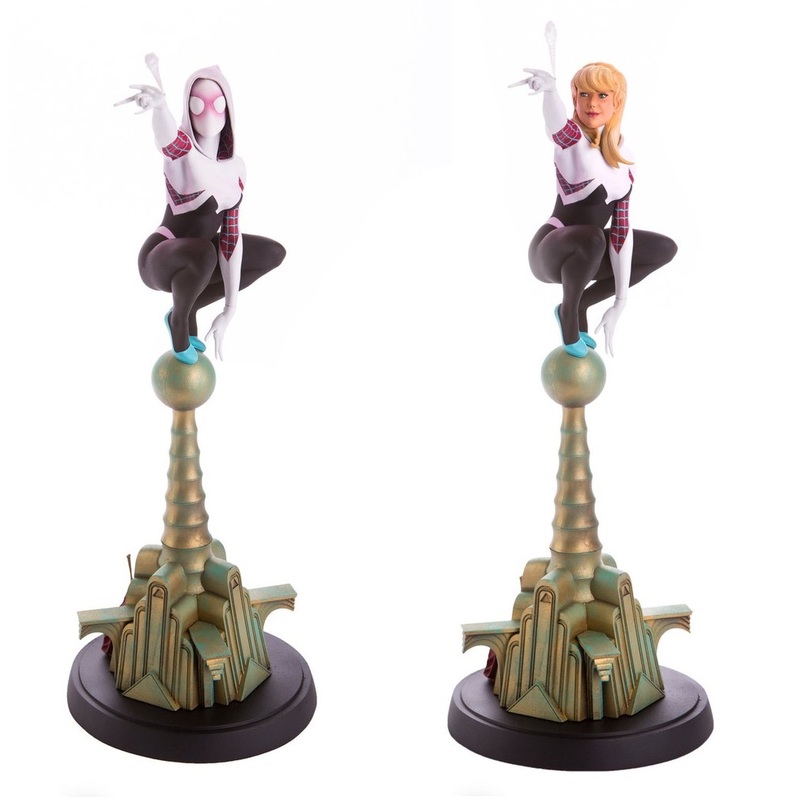 The Spider-Gwen Statue by Phantom City Creative stands 14.25” tall and is available for pre-order now in two different editions at the Mondo online store. The Standard Edition retails for $195, while the Mondo Exclusive Edition retails for $200 and includes an additional interchangeable unmasked head of Gwen Stacy. The Mondo Exclusive version will only be available for a limited time – from now through 12pm CST on Friday, June 23rd.